Located almost exactly half way between Florida and New York City, the southeast coast of North Carolina offers a truly unique diving experience. The warm, clear waters of the Gulf Stream run just miles off the coast of Wrightsville Beach, creating a habitat for huge varieties of both tropical and cold water marine species. Combine local wildlife with the nearly 60 shipwrecks that draw divers from all over the world, and you have one of the most sought-after diving hot spots on the planet. Here at Sea Turtle Camp, we call that our back yard. Our programs offer a diving experience for teens that is unlike any other of its kind. Whether your teen is a seasoned diver or has simply dreamt of getting their PADI SCUBA certification, we offer programs to accommodate any level of experience. In this teen SCUBA program, students between the ages of 13-17 will participate in a 12-day camp session. In this time, students will earn their PADI Open Water SCUBA certification, complete all required exit dives, as well as participate in a couple of additional recreational dives exploring local lakes and shipwrecks. 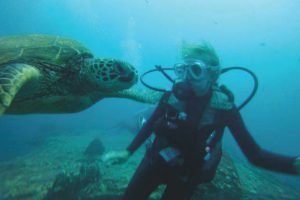 The Advanced program is a perfect option for divers who have already obtained their certification and are eager to experience bucket list-worthy diving opportunities. 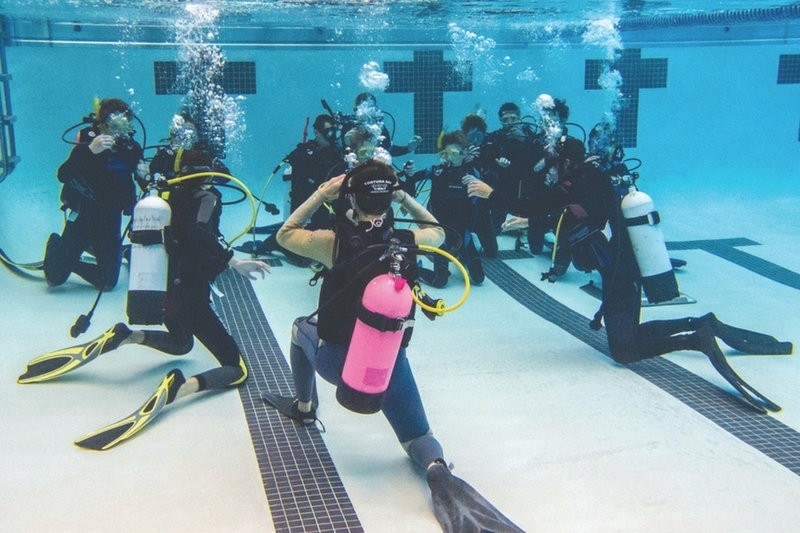 During this 12-day session, students will spend a day in the pool refreshing their SCUBA skills in the pool and then head off to the ocean to do some deeper dives, learn underwater navigation skills, and ultimately earn an Advanced Open Water SCUBA certification. Although a good deal of the students’ time is spent in the water, all of our SCUBA students will also get the opportunity to earn community service hours, explore North Carolina coastal ecosystems, and so much more!